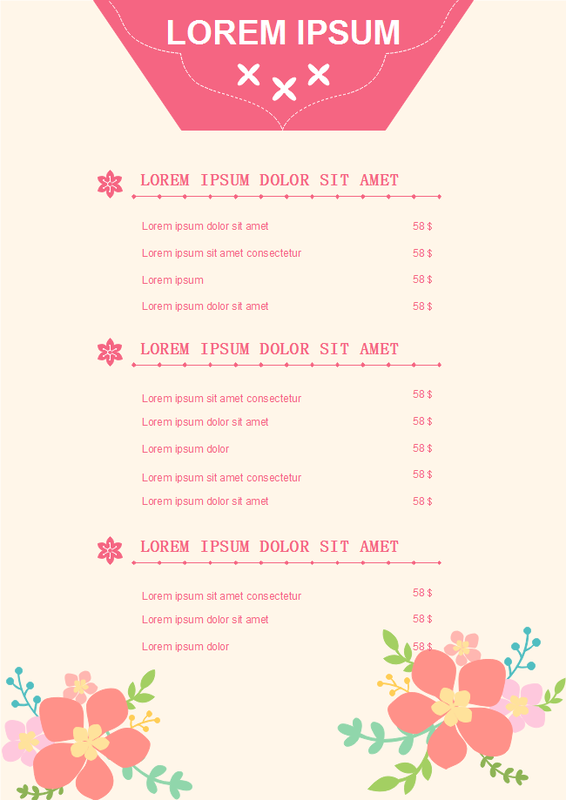 Description: The price menu with beige background and lovely flowers at the bottom corners look neat, classic and soft. All you need to do is adding foods and prices in your restaurant. Customize the menu template with drawing tools and library of symbols and shapes if necessary.